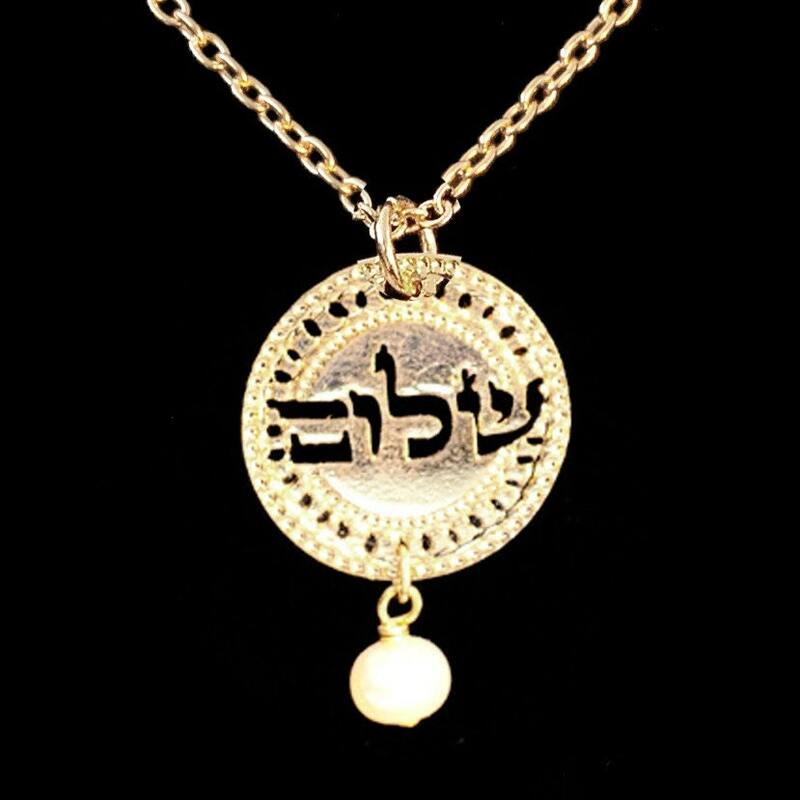 Hebrew Gold necklace with the Hebrew word Shalom - Peace. The circle is a little over 1/2 inch and is adorned with pearls. Chain length is about 17 inches, spring clasp. The necklace is made of gold plated brass and pearls. "Shalom" translates to :Peace' Hello, Goodbye and Wellbeing. Such a beautiful word. It just occurred to me that Shalom is related to the word "Shalem" which means "whole". Thank you for looking at my gold necklace! I also make other judaica jewelry in my shop, and I'd love for you to stop by and check out the other earrings and the rest of the jewelry sometime.